ANONYMOUS -A manuscript leaf from a Book of Hours. ANONYMOUS - A manuscript leaf from a Book of Hours. 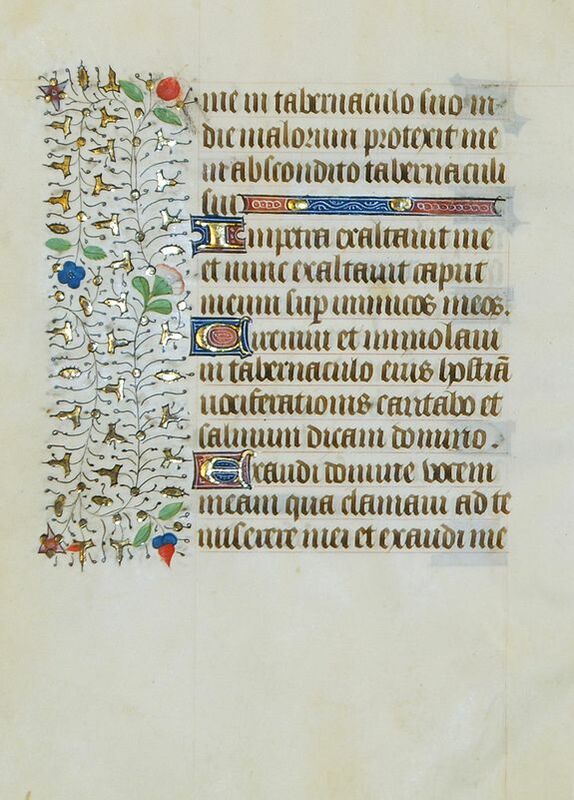 Title : A manuscript leaf from a Book of Hours.. Size : 7.1 x 5.3 inches. / 18.0 x 13.4 cm. Description :Typical manuscript leaf on vellum from the middle of the 15th century. Text in latin. Condition : The sheet is slightly wavy and age-toned. Otherwise in mint condition.